This is the ultimate experience for all ocean loving kids, 7-14. 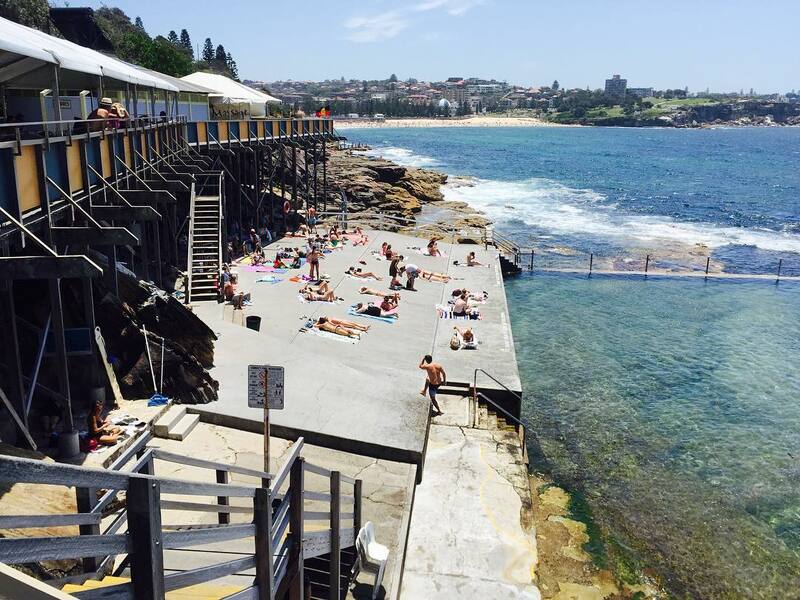 We’ll spend the whole day (8:30am-3pm) at the ocean, learning about the ocean. 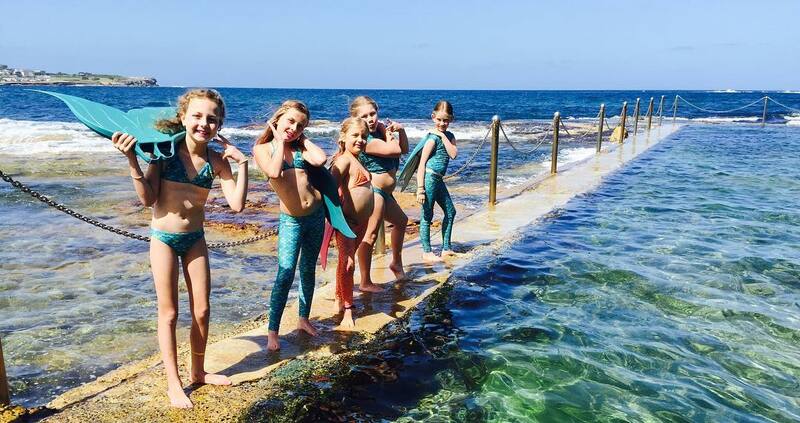 It includes mermaid yoga, learning about endangered ocean species, creating ocean bracelets, mermaiding in the beautiful ocean pool and sparkly mermaid hair & makeup. Only 10 Mermaids per Workshop. April 17 ($130-$150). A birthday celebration is the perfect time to make your little mermaid’s dreams come true. 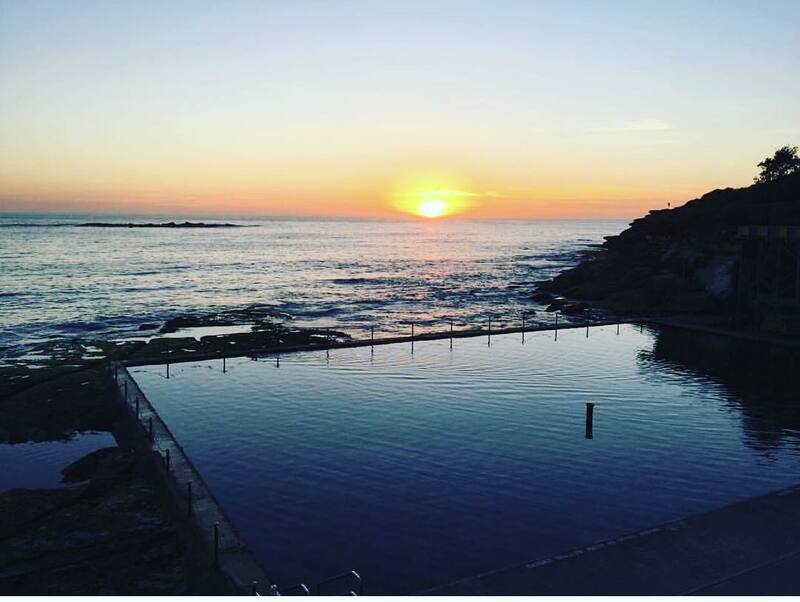 Why not throw a ‘merforgettable’ mermaid birthday party at your own swimming pool ar at the state of the art private pool in Sydney’s North Shore!? Let us make the special day active, fun and easy on you! 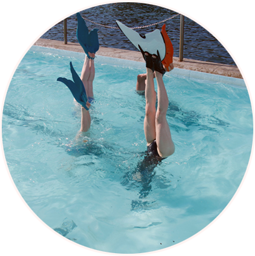 The famous mermaid fitness class will get your body moving and heart racing in more ways than one. After a good stretch and a few breathing exercises, we elegantly slide into the sea to get your body moving and your endorphins flowing. It’s time to release your inner mermaid! 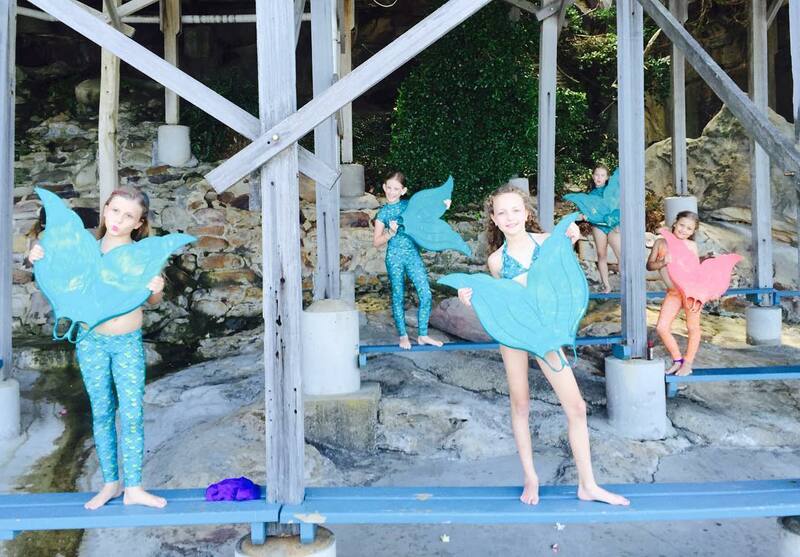 Mermaids aren't just for beach parties any more! 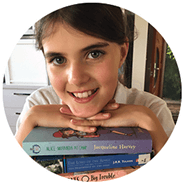 Don’t miss the unique opportunity to give your daughter an experience, she’ll never forget. 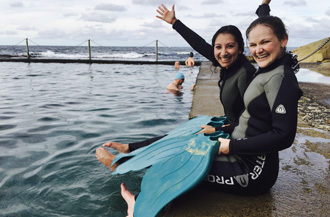 Our Mermaiding by the Sea School Holiday Workshop offers a range of nature-based and fun water activities designed to nurture a sense of exploration and caring for the ocean. 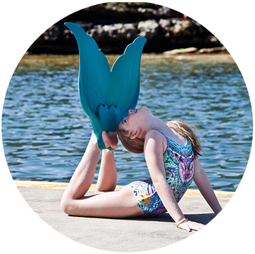 Perfect for little mermaids (7-14), who are confident swimmers. The next date is: 17. APR 2019. The Workshop runs from 8:30am - 3pm. See you at the ocean! The famous mermaid fitness class will get your body moving and heart racing in more ways than one. I chose the right location for it - the glorious Bogey Hole in Newcastle. We spend 2 hours together doing mermaid yoga, sharing our experiences about the ocean and of course doing mermaiding. After a good stretch and a few breathing exercises, we elegantly slide into the sea. When you are confident with your newly acquired skills, I’ll take out my GoPro and create an ​underwater video of you in action! There will be plenty of opportunities to take pictures and videos for your social media followers. 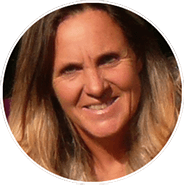 I promise that you will feel fabulous, happy and energised after this experience. I will get your body moving and your endorphins flowing. It’s time to release your inner mermaid! 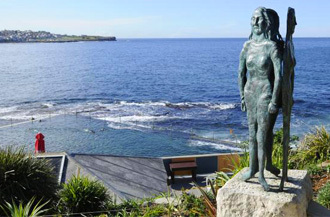 Mermaiding has been described by the experts as a “total body workout". There is nothing better than exercise that doesn’t feel like exercise! Connect with the water and with yourself and enjoy the benefits: stronger core muscles, higher endurance, higher flexibility in shoulders, spine and hips, less back pain, better self-esteem, and a happier soul because you were able to get away from the hustle and bustle of everyday life to simply enjoy a new activity! 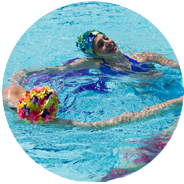 Mermaiding is the new way to be active, become fit and much more fun than traditional swimming. 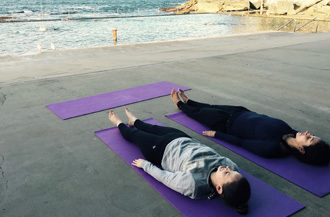 All our classes include activities such as Mermaid Yoga, discover Mermaiding techniques (swimming will never be the same! 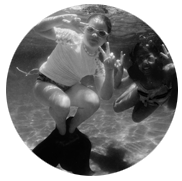 ), play underwater games, learn how to equalise and we even shoot underwater pictures and videos! 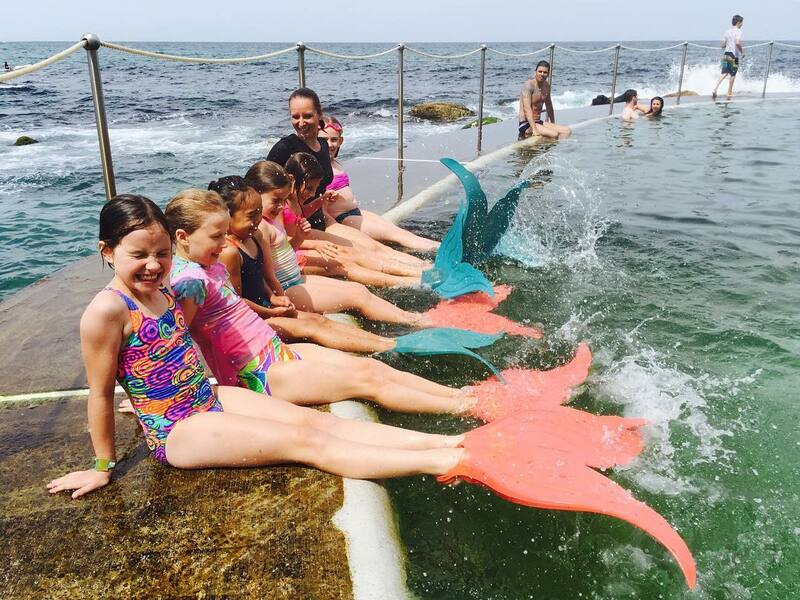 Mermaiding is not only for kids and want-to-be Mermen or Mermaids! Mermaiding is for everyone who loves water! It is a delightful, liberating and exhilarating activity, a growing fitness trend in Europe, the US, Canada and in South-East Asia. 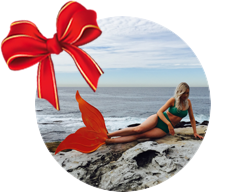 In Australia, thousands of people are buying the fins they need to experience the joy of mermaiding. Now is the time to join in the fun! Mermaiding gives you a great excuse to get together with your current friends, it also allows you to meet new like-minded people. Because the classes are kept small (up to six people) they become a shared experience. Bring out your inner child and feel the magic. 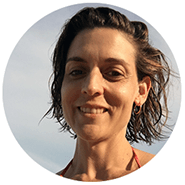 In our classes, we encourage individuality and applaud when you step outside of your comfort zone. 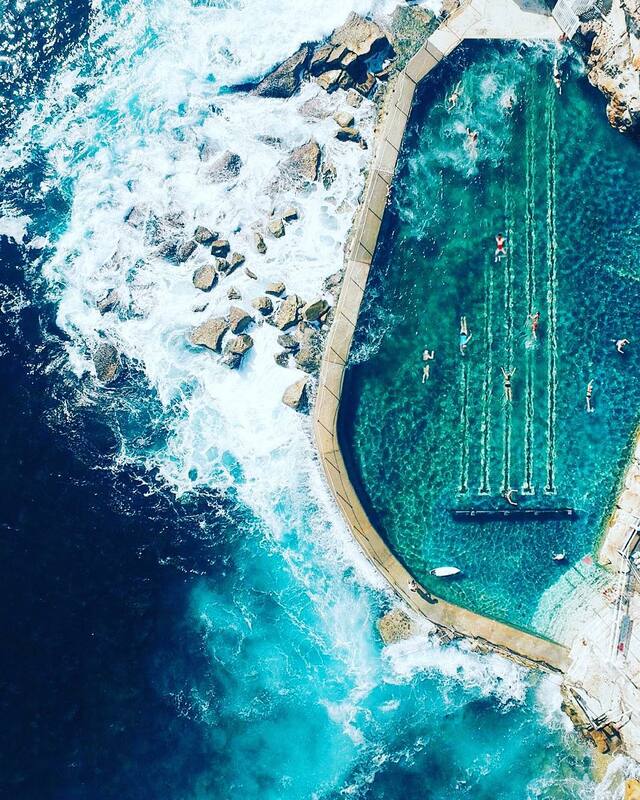 Experience the freedom, feel the water in totally new way and explore your body and mind. Forget about all surface fuss - school, social media, mobile phone, worries of everyday life and simply BE YOURSELF.